Location: Gowran, County Kilkenny, Ireland. Notes: Gowran Castle is located in the centre of Gowran, County Kilkenny, Ireland. The castle is a manor house and was fully restored between 2013 and 2014. The first Gowran Castle was built in 1385 by James Butler, 3rd Earl of Ormond, close to the centre of the town of Gowran, Co. Kilkenny, Ireland. He made it his usual residence. James was called the Earl of Gowran. In 1391 he bought Kilkenny Castle and a large part of Co. Kilkenny. James died in Gowran Castle in 1405 and is buried in St. Mary's Collegiate Church Gowran together with his father James Butler, 2nd Earl of Ormond. his grand father James Butler, 1st Earl of Ormond and his great great grandfather Edmund Butler, Earl of Carrick and 6th Chief Butler of Ireland . James the 2nd Earl was usually called The Noble Earl, being a great-grandson, through his mother, of King Edward I of England. Gowran had been a settled place and a place of importance long before the arrival of the Normans in Ireland in 1169 A.D. Kings of Ossory were often referred to as kings of Gowran. The Mac Giolla Padraig (Modern day family name Fitzpatrick), Chief Rulers of Ossory, had a residence in Gowran. O'Donnchadha (Dunphy) was the chief of Gowran and most of the area around it. Local place names like Rathvaun, Rathcash, Rathcusack, and Rathgarvan, signified the presence of raths where people lived, farmed and foraged for a livelihood. Raths were also burial places. Larger sites were called Duns. The village of Dungarvan (Co. Kilkenny) also in the parish of Gowran is another example of such a settlement . The presence of the 3rd/4th Century Christianised Ogham stone on display in the historic St. Mary's Collegiate Church Gowran would also indicate a place of residence and worship dating back 2000 years. There are other ancient sites close to Gowran. For example, nearby Tullaherin Church, graveyard and Round Tower dating to the 6th Century. Freestone Hill situated 4 km from Gowran was a Bronze Age and Iron Age settlement where Roman coins and other artefacts were found during archaeological surveys in 1948 and 1951.Following the Cromwellian invasion in Ireland in 1650, Gowran was besieged by Oliver Cromwell. Gowran Castle was attacked and badly damaged. 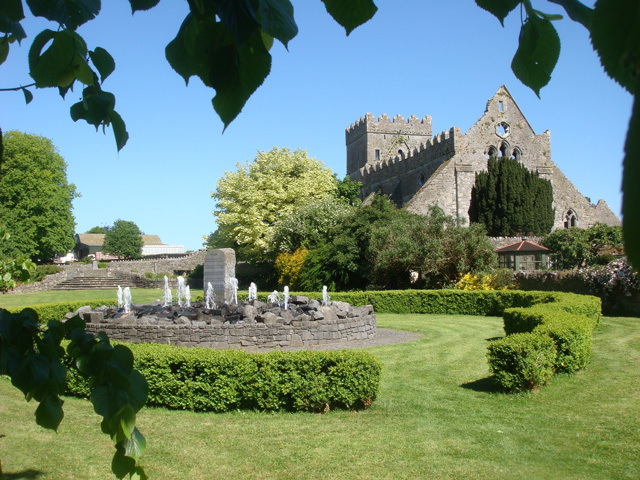 For the following 300 years the Agar family were a major influence in the Gowran area. Several generations of the Agars occupied Gowran Castle and like the Butlers before them, many of them are buried in St. Mary's Collegiate Church Gowran.